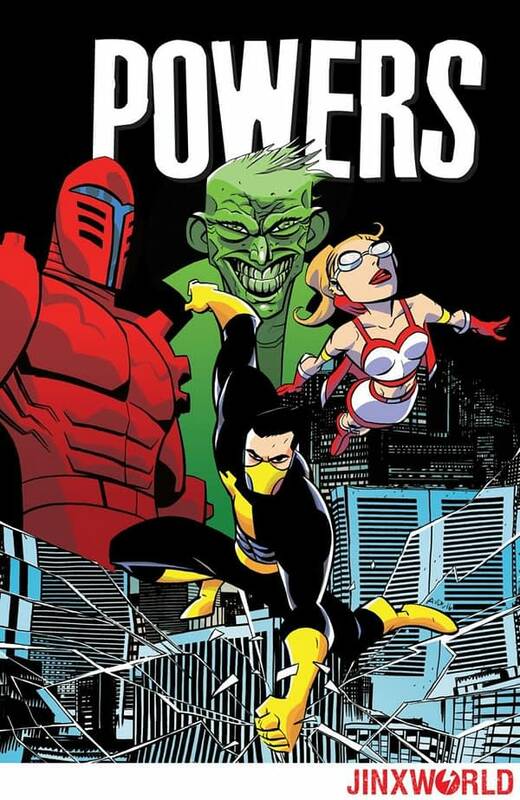 We knew that Brian Michael Bendis and Michael Avon Oeming were bringing Powers back as a series of original graphic novels. To celebrate the 20th anniversary of the Eisner award-winning cops and capes comic Powers, original creators Brian Michael Bendis and Michael Avon Oeming have reunited for the most significant Powers story ever. Really. Spanning decades and genres while hearkening back to its earliest origins, the story of superhero turned homicide detective Christian Walker comes to a fantastic conclusion. This all-new graphic novel will be a celebration of the entire run, a look back at the cult classic TV show including an exclusive look at the third season that never was and an all-new series spanning retrospective interview with Brian Michael Bendis! Can it be a cult classic already? Powers only came out on the PlayStation Network in 2015… I guess classics are getting closer and closer. 120 pages in hardcover. There will be previews in DC Comcis titles out the same month.